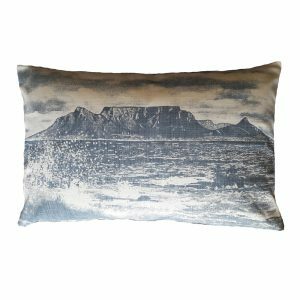 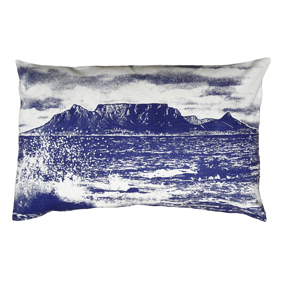 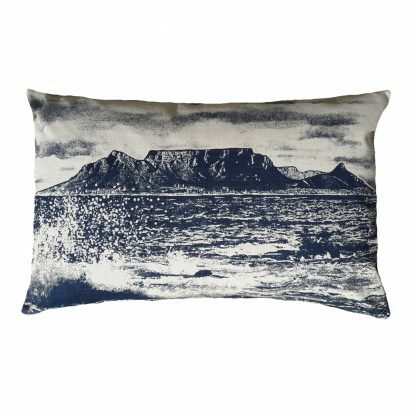 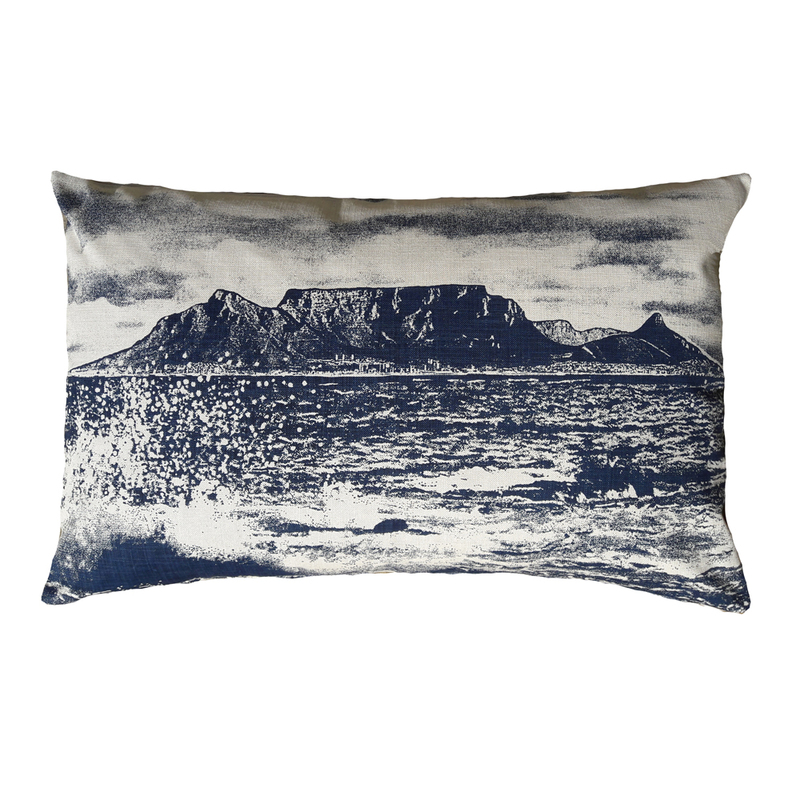 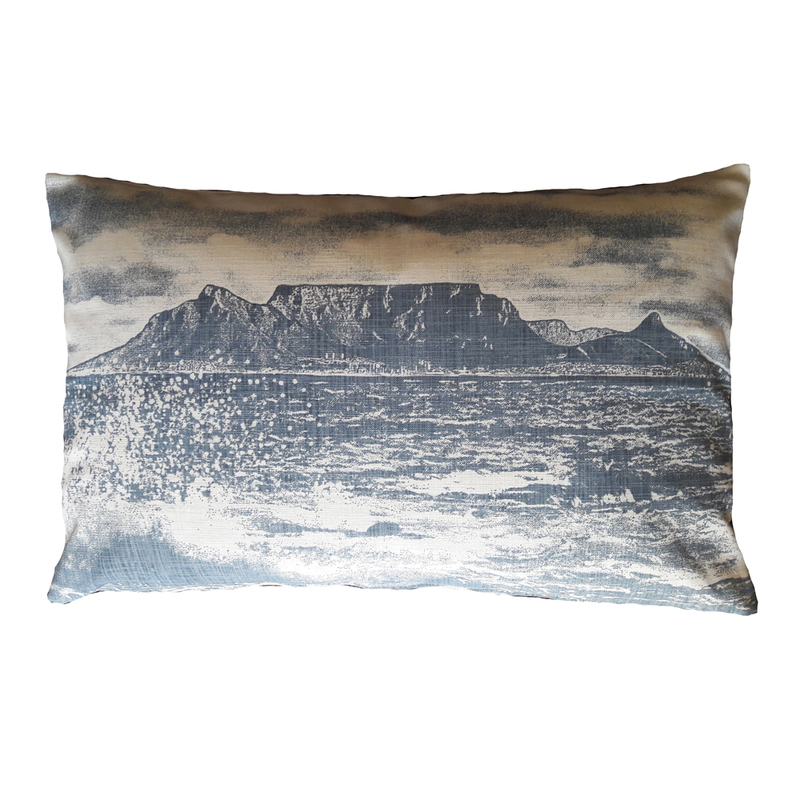 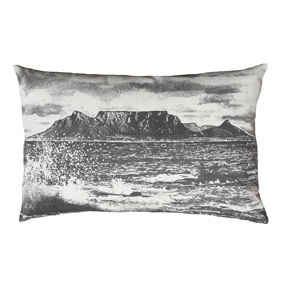 The Cape Town Splash cushion shows the beloved, rocky outcrop, Table Mountain from Blouberg (blue mountain) beach. 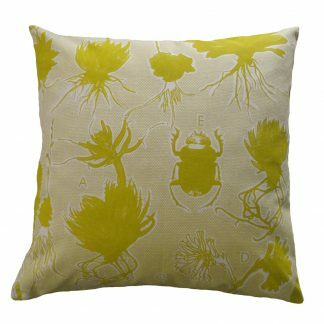 Cushion covers are sold without an inner cushion. 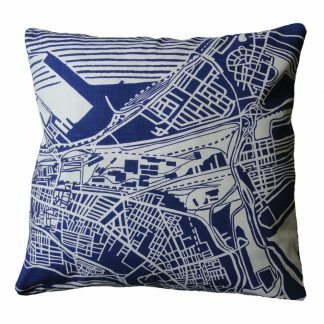 This size fits an ordinary pillow. 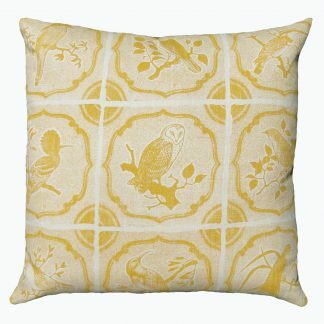 If you would like us to provide an inner please email us for a quote.